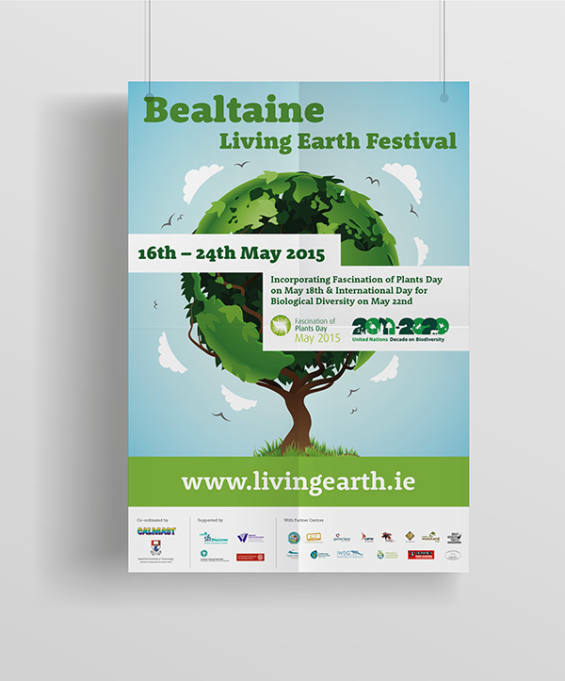 The Bealtaine festival is an annual event organised by a group of organisations in the south-east of Ireland including visitor centres, environmental organisations and interested individuals. The theme of this year’s day was “Biodiversity for Sustainable Development”. The event comprised of talks, visits, tours and educational events which are open to the public and schools. Resonate designed the promotional poster for this event which was organised by CALMAST in WIT.